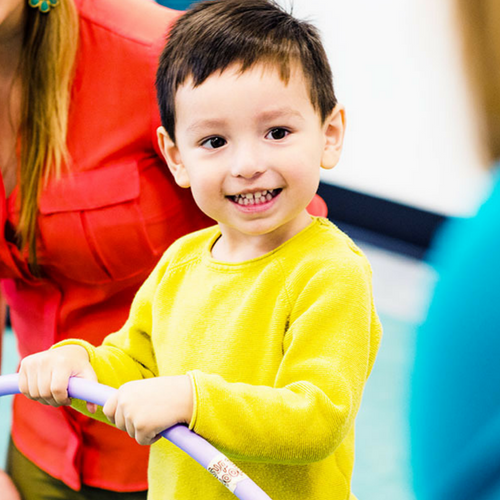 Every Class Has Been Carefully Crafted to Create the Perfect Mix of Imaginative Play, Joyful Moments and Musical Exploration for Your Child. You and your child will feel welcome and comfortable the moment you arrive for your Kindermusik class. And you both will love the social interaction! Your caring and nurturing teachers will embrace your child's unique learning style and preferences, valuing each child for who he or she is. You'll both be laughing, singing, moving and learning at the same time! You'll take the magic home with you, as well, so that music begins to color your child's days and help them smile and sing their way through each day. While the Kindermusik path begins with newborns, your child can begin the journey at any time - joining the age-specific class that is appropriate for him or her. From that point, the Kindermusik path nurtures your child's developmental needs and capabilities. Each class level dovetails into the next for an easy and appropriate transition, both within the Kindermusik path and beyond to more advanced options, such as lessons. Together, we can give your child the best start to life. Our wish for you is a happy, "I want to tell the world" experience. If it's not what you dreamed of, we'll press the button and refund the balance of your tuition. Our classes have been one of the most treasured childhood experiences I have shared with my daughter. Our instructors have been very professional and knowledgeable. I have watched my daughter grow tremendously emotionally, musically, physically, and socially. I credit the Kindermusik program. My daughter feels loved, welcome, valued and like she is part of something very special. 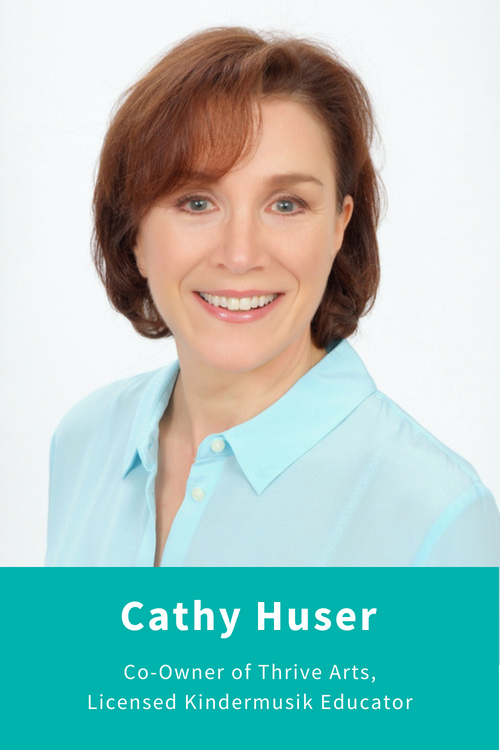 Cathy started Kindermusik of Cleveland in 1996 and has been recognized as a top 1% Kindermusik Program worldwide every year since 2000. Cathy and her husband, Kevin, opened Thrive Arts January 2017 and are thrilled to bring all their Kindermusik classes into one beautiful location. She loves that Kindermusik reaches every child’s learning style and she sees the tremendous impact that a continuing musical education can have on a child’s development. She is also passionate about helping parents make parenting easier and more meaningful. Sarah was surrounded by music as a child. Her grandma taught Sarah to play the piano, and her school days were filled with choir, musical theater, and the band's percussion section. Naturally inquisitive and imaginative, Sarah loved exploring new instruments and trying new things. Sarah is passionate about gently guiding children and families along their own paths in her Kindermusik classes, and she loves seeing those family relationships deepen through their shared love of music.